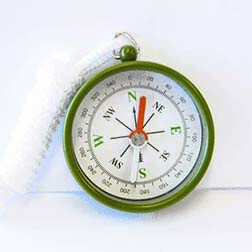 Compasses are useful and fascinating pieces of equipment which rely on the earth’s magnetic north pole to work. 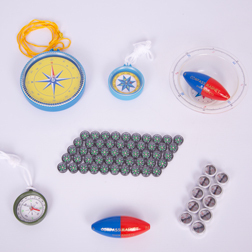 Our range includes the chunky Compass Magnet which can be used in a bowl of water, and can demonstrate to children how early explorers used magnetism to find their way; to the small class set of mini Plotting Compasses which older children can use in science activities, e.g. to find which direction their classroom windows or playground faces.